The Priyanka Foundation is an award winning nonprofit organization headquartered in the United States. Its purpose is to serve sick children and families by implementing Child Life service programs for chronically ill children worldwide. 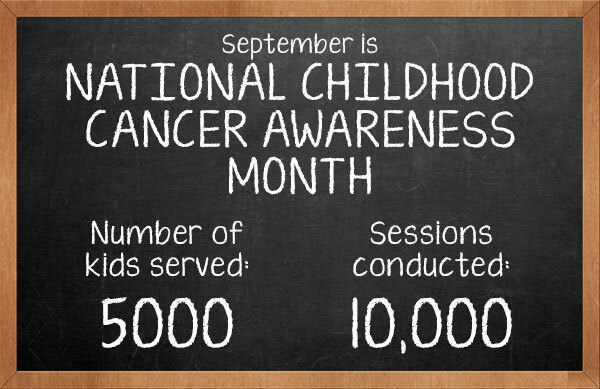 Child Life services make a significant and positive impact in the medical world for sick children and their families. The program works with children and families to minimize the stress they feel during hospital stays or visits to the clinics, emergency rooms, radiology, or surgery areas. Through the use of developmental, educational and therapeutic interventions, Child Life Practitioners provide customized care for children and their families, recognizing individual family needs and respecting different methods of coping. Provide preparation for children scheduled for surgery or other medical procedures. Provide support for children during medical procedures through the use of distraction, relaxation and imagery. Provide therapeutic activities and discussion to minimize anxiety and stress for children with frequent or long term health care needs. Provide support for patients and families with end of life and bereavement needs. Provide support and education for a patient’s siblings. Coordinate joint programming with community organizations. The foundation is based in Minnesota, the home of its inspiration and founders. It’s named after Priyanka Bhakta who died a few months before her 9th birthday from complications during bone marrow transplant. The Priyanka Foundation was established in her memory, so that sick children in other parts of the world would have similar opportunities for emotional healing and support during their hospital stay.